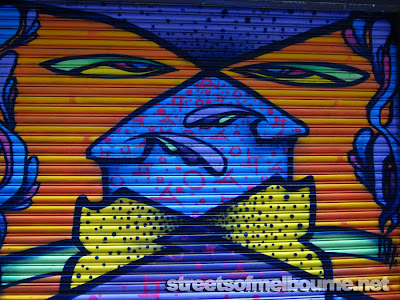 A couple more pic's of the new paint up at Croft Alley. 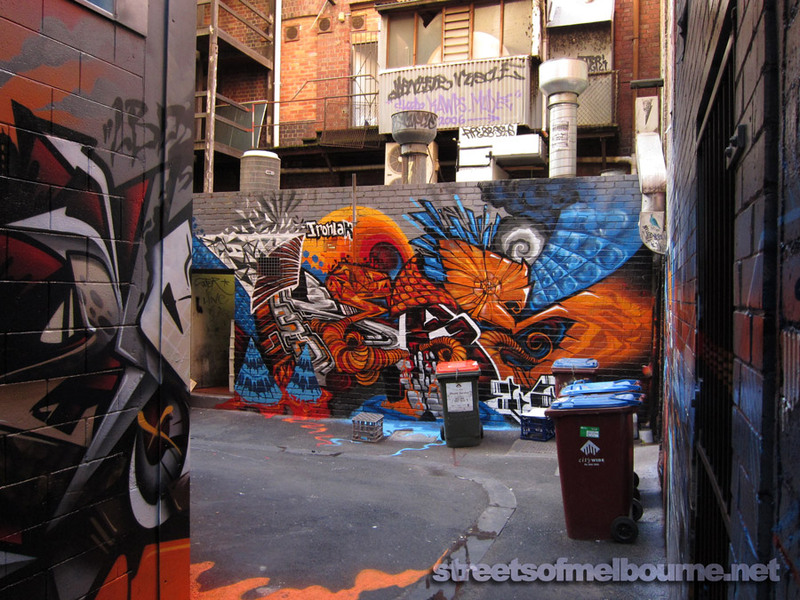 The colour scheme is very different to what was up before, it was more blues, oranges and browns, very dark. 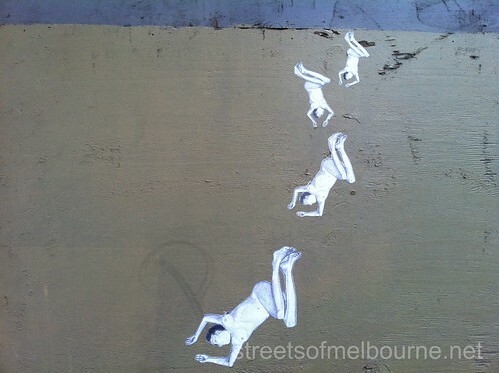 I dug the paint that came off the paintings and went onto the ground. 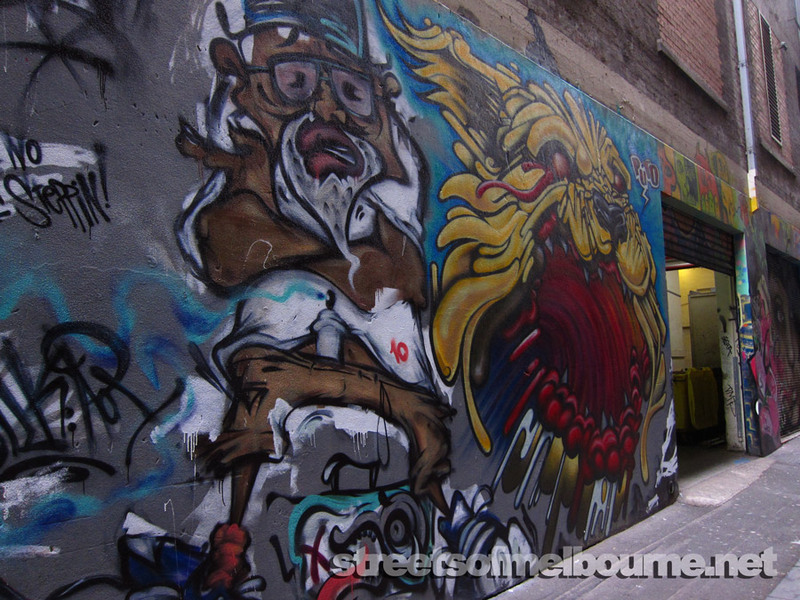 A video to come soon, I need to get back there and take some more footage as part of the Croft Alley was a paid area ($10) for the party at the Croft Institute (always a little pricey at the Institute). 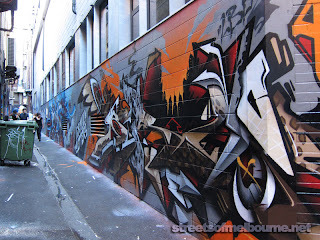 More pick's of the start of the project can be found here on the Ironlak blog. Was originally post here twitpic.com/410m48. 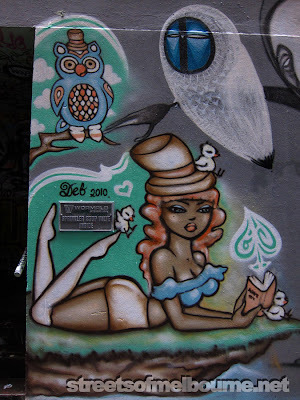 Thanks to Hynee for letting me re-post this. 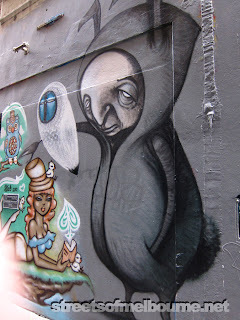 He had a sneak preview and a chat with one of the artists Seiko (picture above by Seiko). Sounds like a big change, looking forward to checking it out. 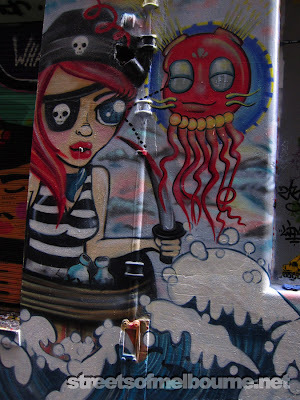 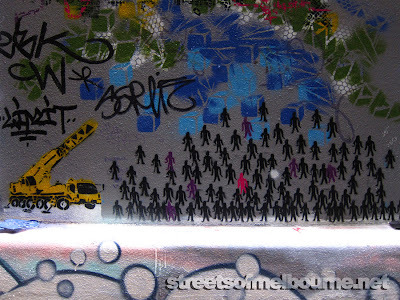 Sighted in Hosier Lane Melbourne CBD in late 2010. 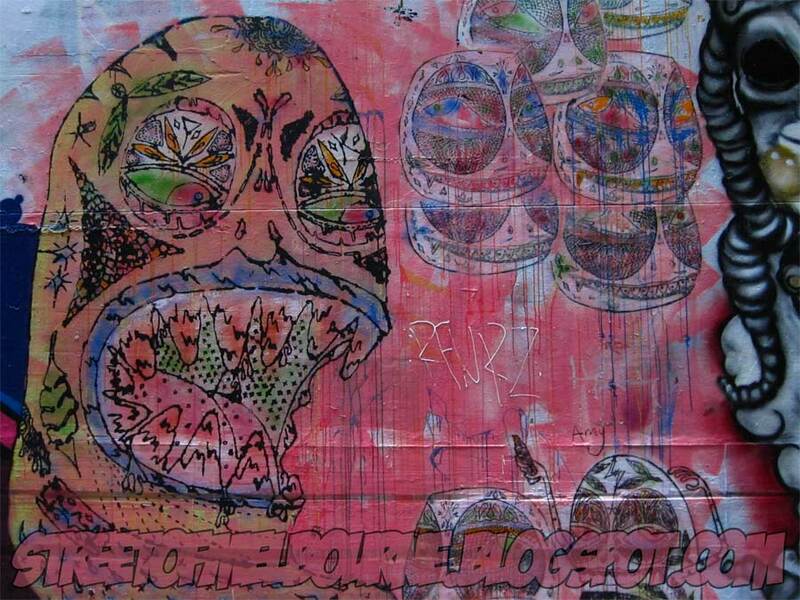 This one is great how the artist uses the available space, the teeth above the grilled window. 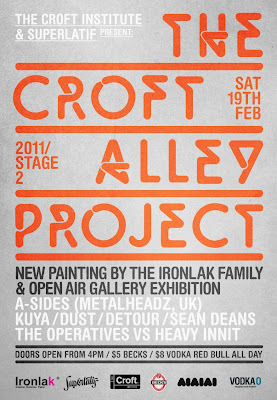 Opening Event 4.00PM Saturday 19th of February 2011.
showing until Monday the 28th of February 2011. 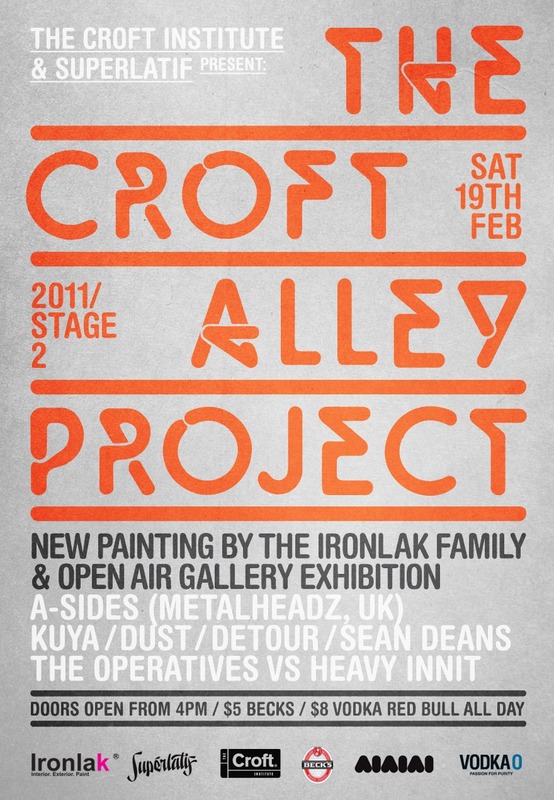 Superlatif & The Croft Institute are proud to present The Croft Alley Project Stage 2. The second stage of the highly acclaimed Croft Alley Project. The lane-way will be reborn in a myriad of colour featuring new works by the Ironlak Family. 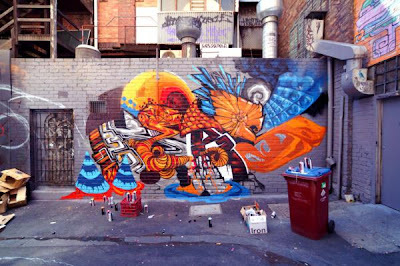 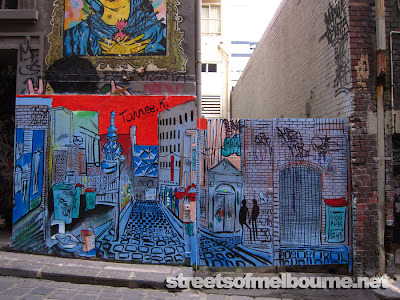 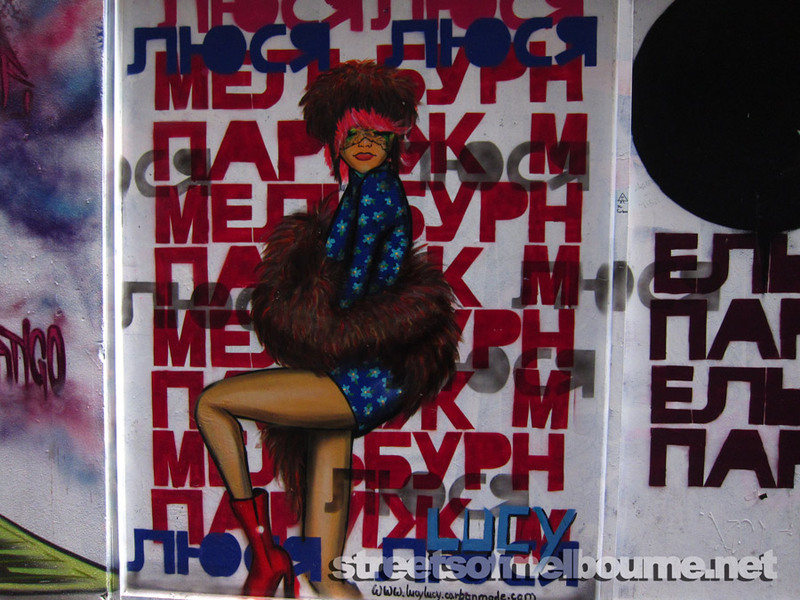 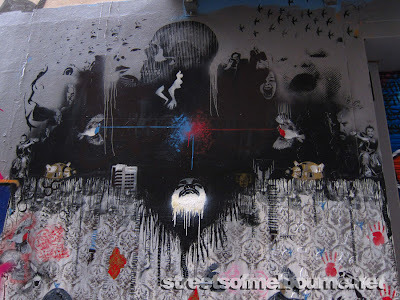 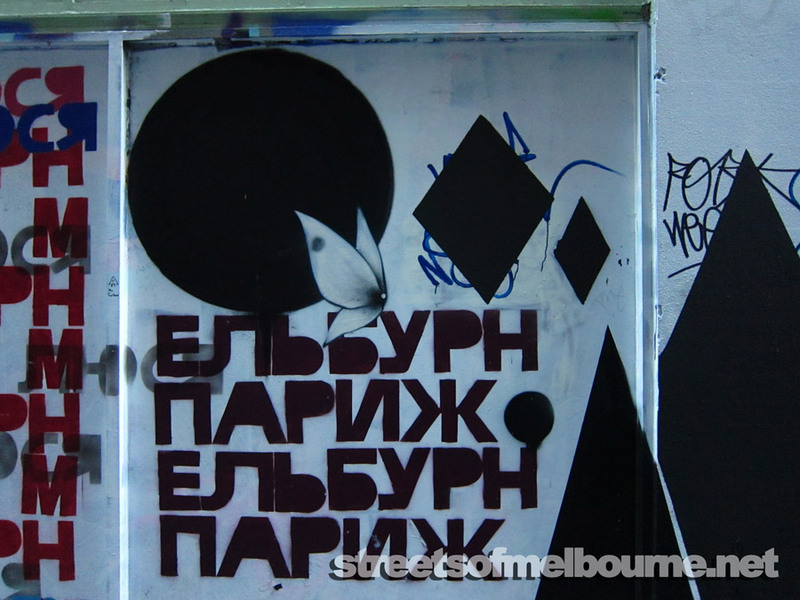 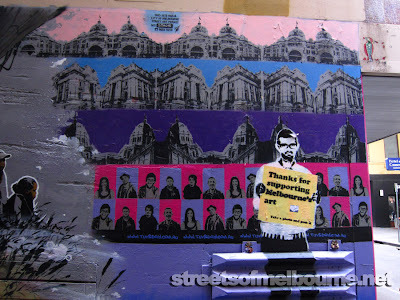 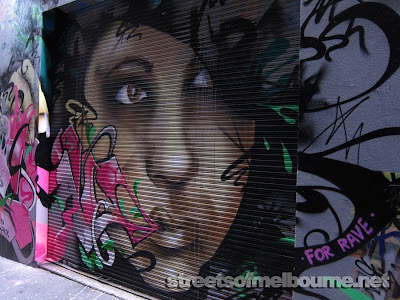 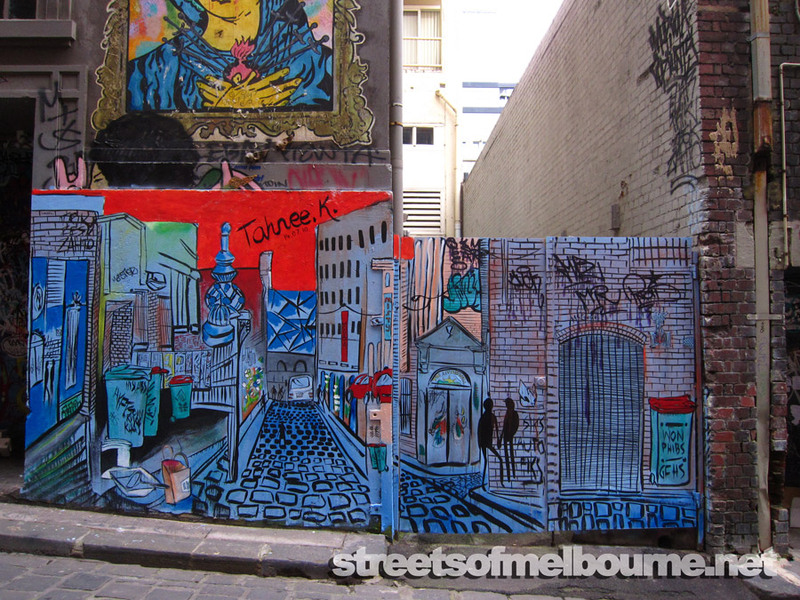 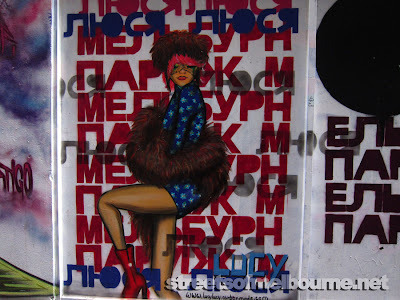 Including for the first time in a Melbourne lane-way an open air gallery exhibition. 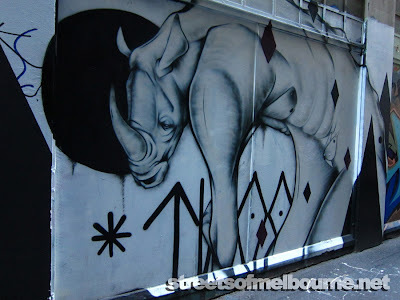 Sighted in Melbourne CBD late 2011. 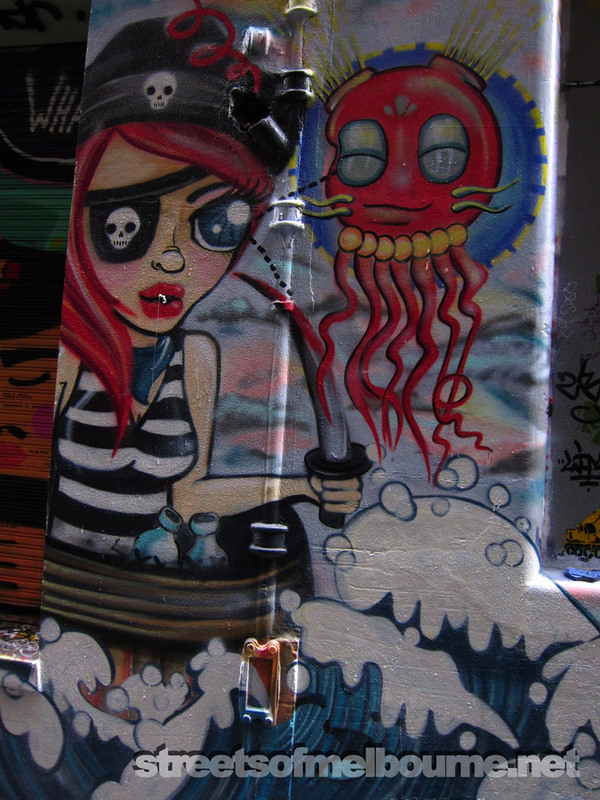 Floating Down, originally uploaded by RobotManGreg. Sighted in Melbourne CBD (La Trobe and Elizabeth Street) on the 11th of November 2011. 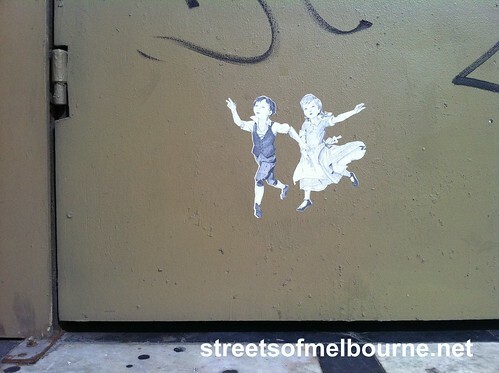 Jack and Jill, originally uploaded by gregtippett. 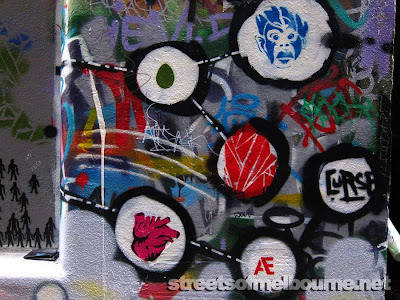 More info on this Union Lane project can be found here http://www.melbourne.vic.gov.au/AboutMelbourne/ArtsandEvents/ArtsParticipation/Pages/UnionLane.aspx. 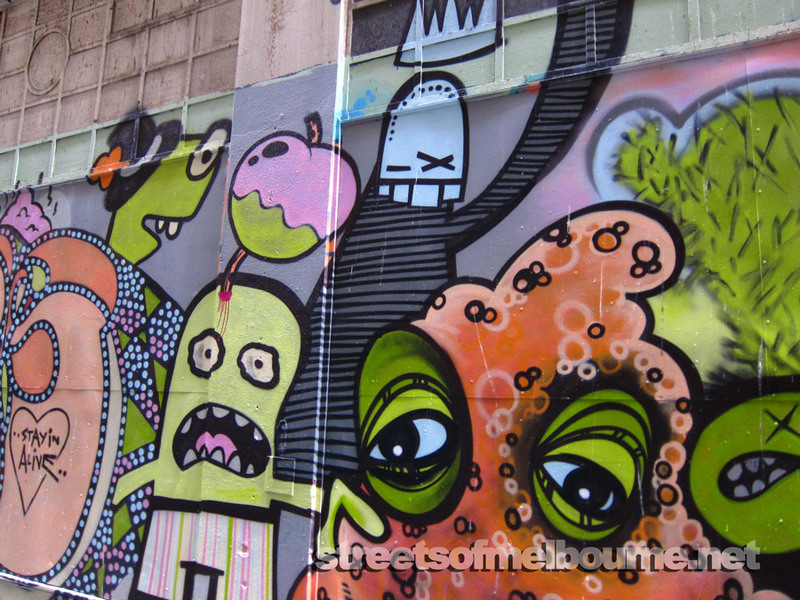 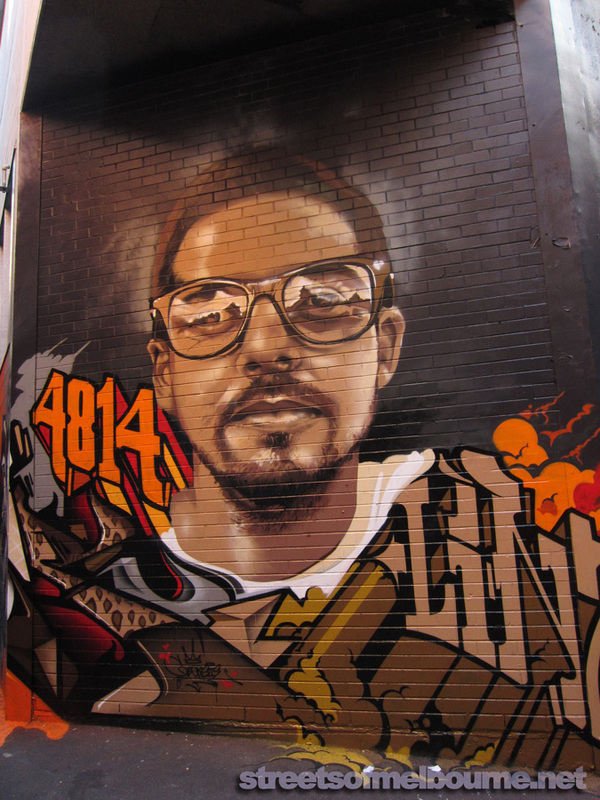 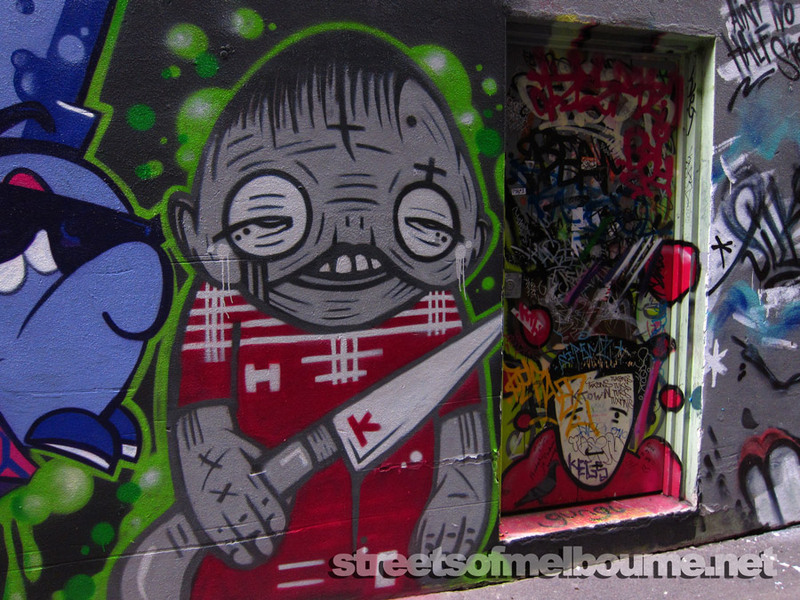 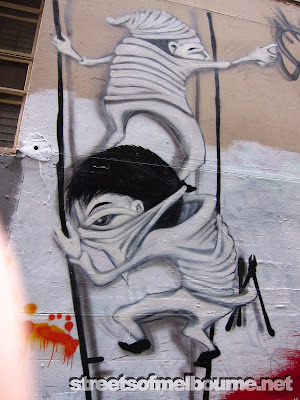 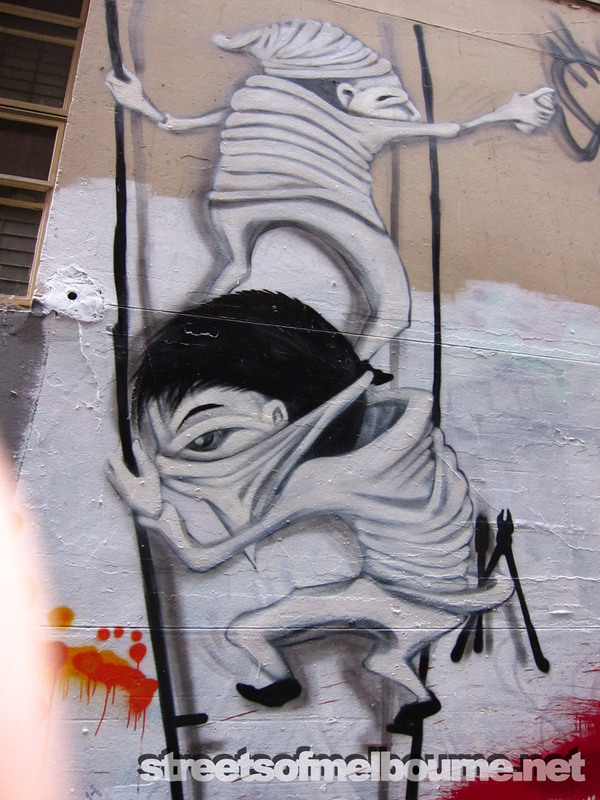 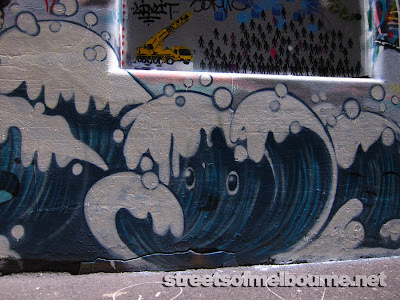 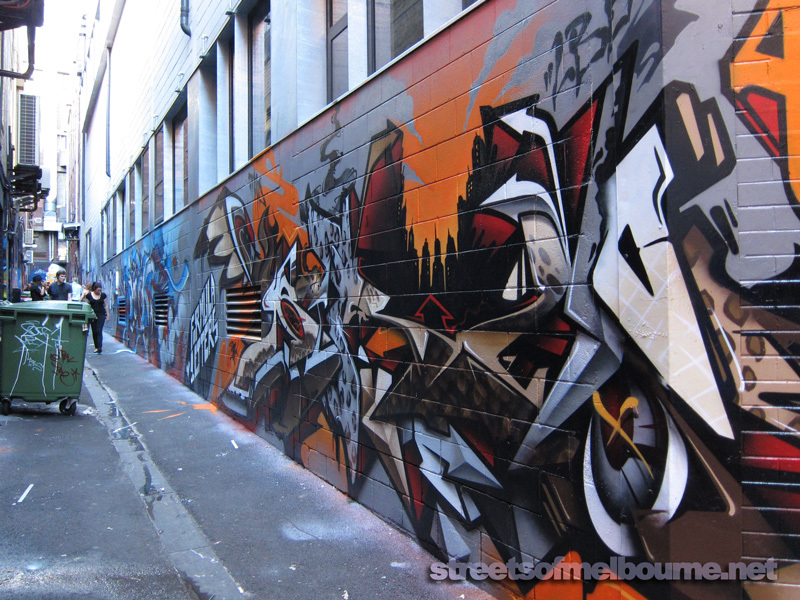 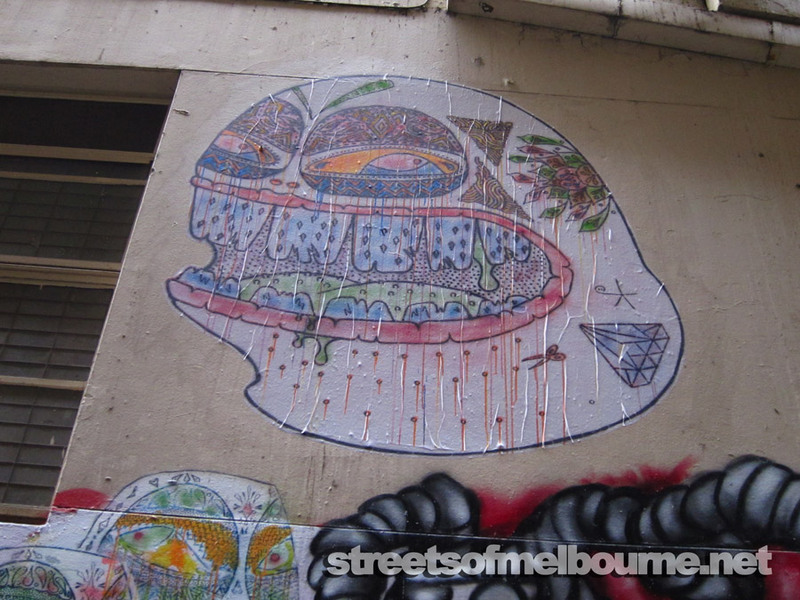 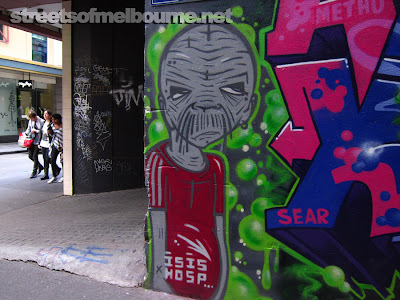 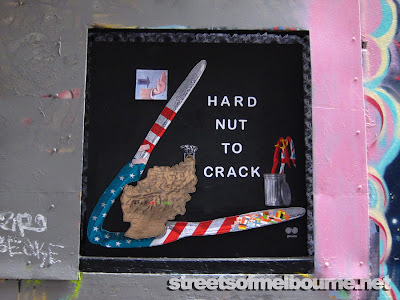 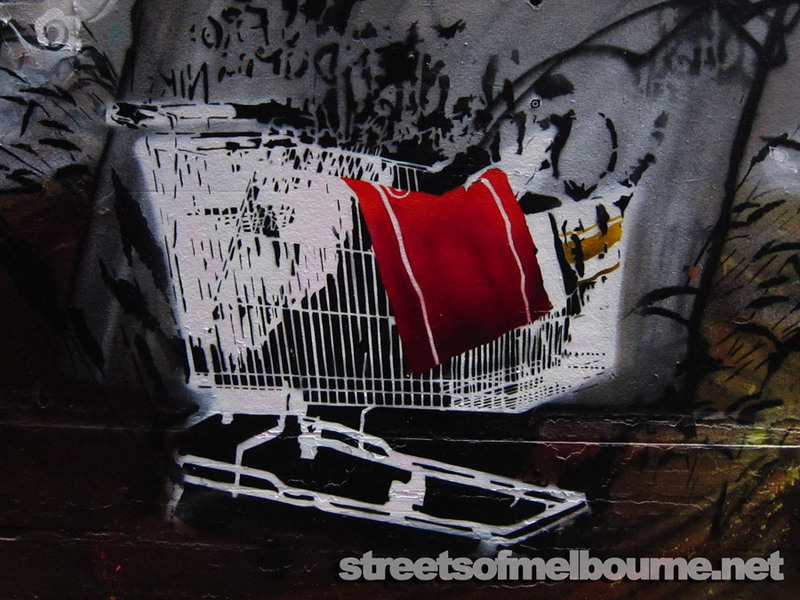 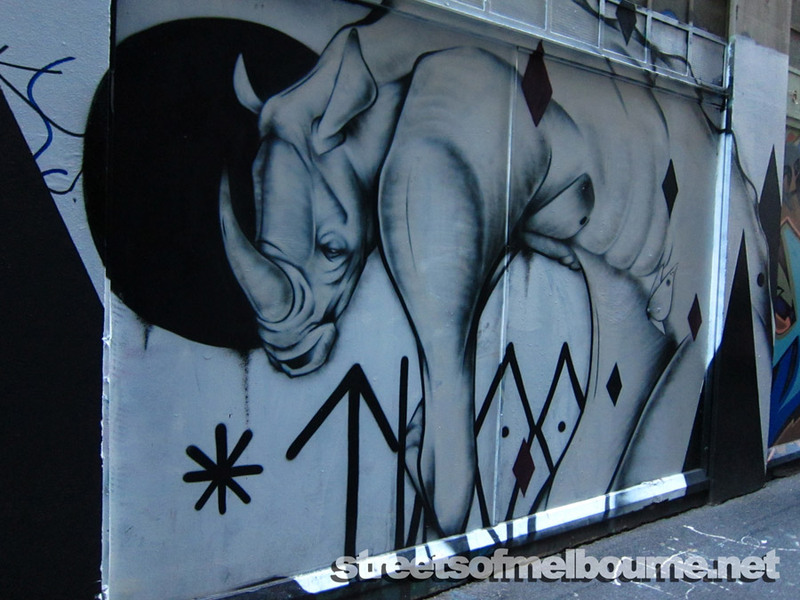 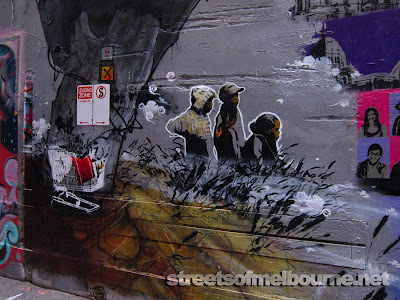 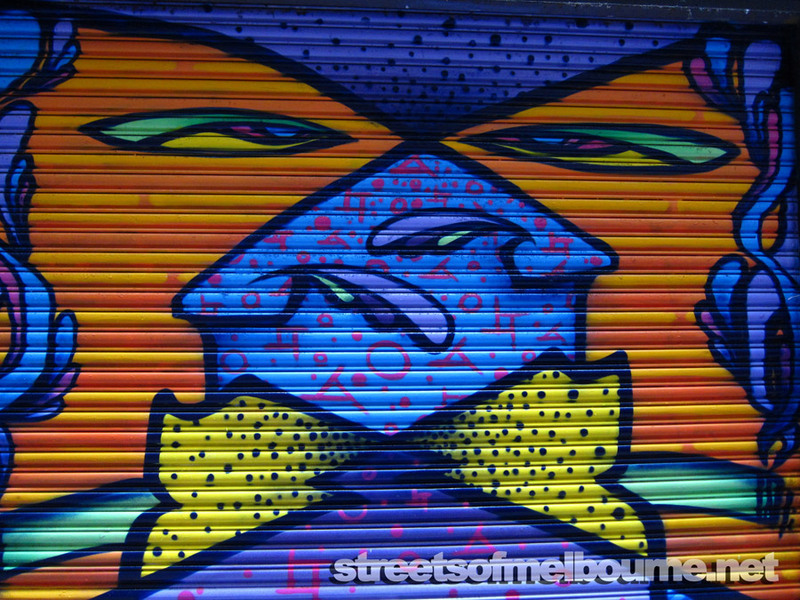 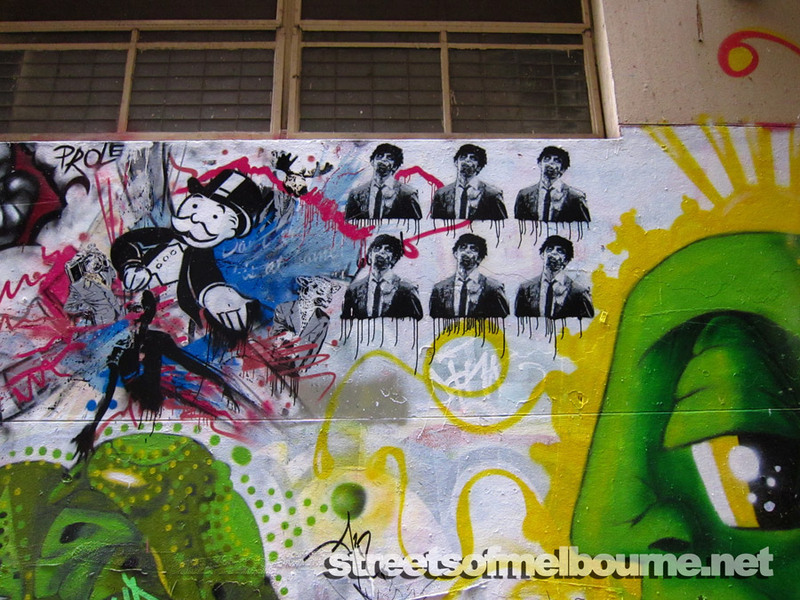 This website also has links to Graffiti Laws in Melbourne and obtaining permits for Street Art.